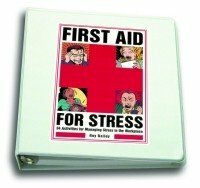 Do you need a stress buster? Nature's Inspiration Ever need your emotional battery recharged? I know that when it's been too long since I've gotten a break, it begins to affect my moods, my energy levels and my ability to think clearly and act decisively. For me, solitude is a wonderful "stress buster." Solitude in nature allows me to reconnect with my soul. The "noise" and confusion of my everyday world can be left behind and I can just listen to what my soul is saying. Today, you're in for a treat! We're offering a way to connect with Nature and recharge your soul without leaving your home or office. The photographs from award-winning photographer, Ken Jenkins, are breathtaking. However, Nature's Inspiration is much more than beautiful photographs! Ken has also written short passages that take you with him at the "moment" of the photo. You feel as if you were there! In addition, he has compiled beautiful nature quotations from the likes of Emerson, Thoreau, and a beautiful 3 minute movie that you'll love. 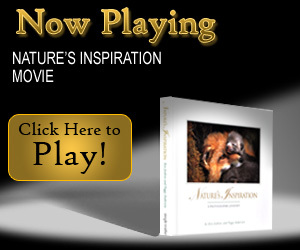 Nature's Inspiration is a 160 page coffee table book where every page is a "wow!" Without question, it is the most beautiful book we've ever published.Click below for a Stress Buster. •10 Rules to simplify your life and live with less stress. •Each of these 10 short chapters will give you concrete tools on how to simplify your life and relieve stress. •David Zerfoss, leads The Zerfoss Group which consults "think tanks," major corporations and entrepreneurs and is the former President of Husqvarna Professional Products. Here's something that'll stop and make you think: Did you know that your Stress Is A Choice? That's a liberating concept because if Stress Is A Choice, you can choose not to have it. Our newest book by David Zerfoss will show you the way with his ten rules to simplify your life. Many of us hurry through life going from one place to the next, focused on conquering the next mountain, making the next deal, running the next errand, and believing we will never have enough time to do all the things we need to get done.Yet, there is all the time in the world if we just realize we are the creators of this life we choose to live. I know you are thinking "my work has expectations to meet, "My family runs at 110mph"... whatever your stress is, David can show you how you are choosing stress. It doesn't mean you will get less done. David will show you a different way of approaching life that will reduce your stress with out affecting your productivity. If you feel like your stress levels are off the charts, author david Zerfoss has a new perspective for you that can change your life. Stress Is A Choice, provides ten rules that provide an inspired road map to simplifing your life...and to choose less stress.